These bisquette medallions can be fired to cone 05 or 06. 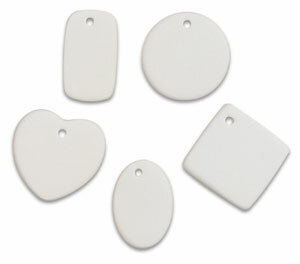 The set of 150 includes 25 each of heart, round, square, rectangle, oval, and triangle shapes. 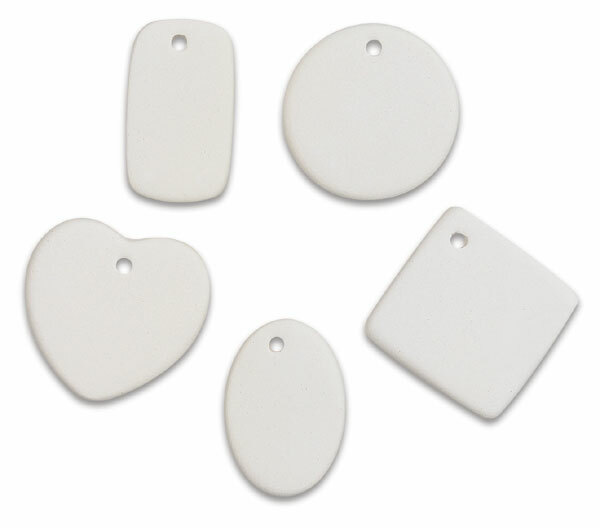 Each shape measures 1" × 1".